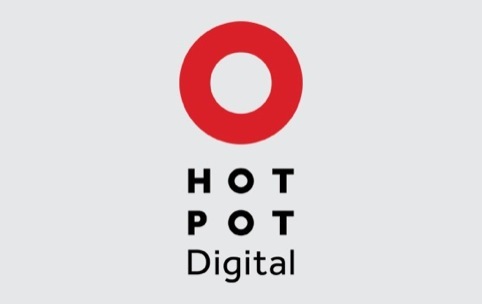 1977 Design has named and designed the Hot Pot Digital brand, which has been set up by The PAE Group as a UK-based company specialising in handling Chinese social media for UK brands. The PAE Group is a Beijing-based media investment company, which operates companies in branded content, social media, and recruitment for the creative industries. 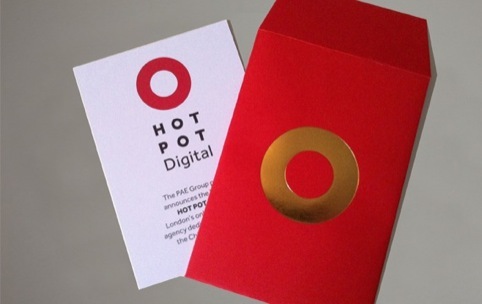 The Hot Pot identity system means the ‘O’ of the main identity can be replaced with Chinese cultural references when used on business cards and other branded collateral. Appointed directly following a recommendation, Paul Bailey, partner at 1977 says that strategy discussions began in November 2011 and showed that the focus should be ‘on the social rather then the media’. 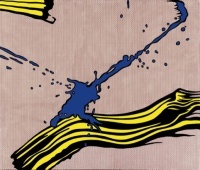 1977 looked to focus on what it saw as the strength of the company – knowledge of the modern Chinese consumer and Chinese society, and how they use social media. Bailey says, ‘Rather than a “them and us” approach we wanted to explain how UK brands will be included in the conversations taking place on Chinese social media. To bring the brand and the Chinese consumer together in the same space. The circular shape also references ‘inclusivity’ says 1977, which wanted to represent the idea of putting clients in the same place as Chinese consumers. A palette is based on the Wu Xing, (or the Five Elements) from Chinese tradition: Red for fire, yellow for earth, white for metal, and green for wood. An image library will be expanded by contemporary Chinese photographers working with Hot Pot Digital. 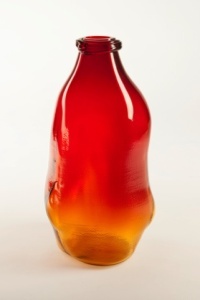 Current images include hot pot, mooncake, and bazoi.